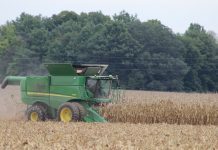 UNIVERSITY PARK, Pa. — To comply with nutrient-reduction goals in the Chesapeake Bay watershed, Pennsylvania may want to consider the establishment of animal agriculture operations in the western part of the state, according to a team of Penn State researchers. While animal agriculture in the Susquehanna River basin poses significant challenges in meeting water-quality limits set by the U.S. Environmental Protection Agency, the region of Pennsylvania drained by the Ohio River system is a different story. It provides for additional opportunities for new animal agriculture facilities and related manure-management activities, according to a report prepared by engineers, economists and sociologists in the Penn State College of Agricultural Sciences. The research is seen as a first step in exploring opportunities and challenges to developing animal agriculture in western Pennsylvania in a way that is both economically and environmentally sustainable, noted lead researcher Cibin Raj, assistant professor of agricultural and biological engineering. Raj believes, ultimately, the region could be home to many more livestock. Researchers focused their analysis on three western Pennsylvania counties, Armstrong, Indiana and Westmoreland. Their estimates indicate the three counties together could support about 78,000 dairy cattle or about 100,000 beef cattle, if all the highly and moderately suitable areas, from an environmental perspective, were cultivated with corn and fertilized by manure nitrogen. 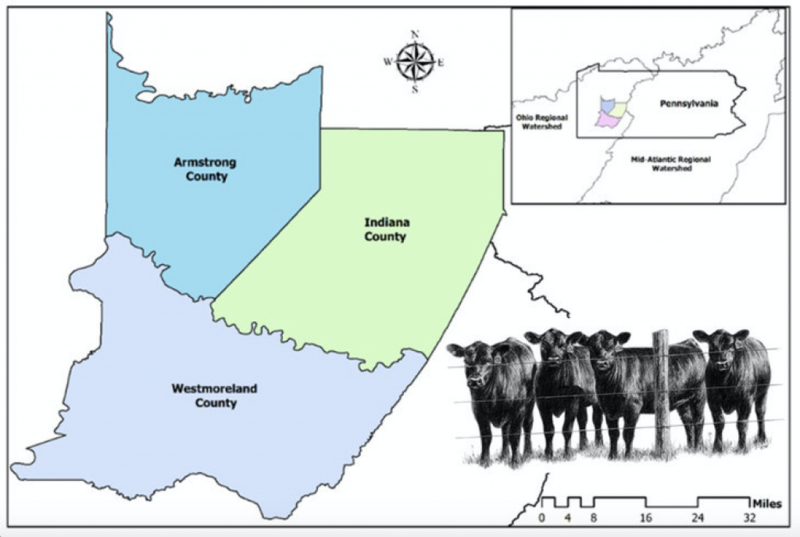 According to the 2012 ag census, these three counties combined have about 53,300 cattle and calves. Researchers used geospatial analysis to quantify suitable land availability for manure use and conducted economic analysis examining what would be required to create and sustain a larger, economically viable livestock industry in western Pennsylvania. They also met with farmers and agricultural business owners to identify opportunities and challenges facing animal agriculture in the region. Existing agricultural croplands, grasslands and unused land areas were considered as potential areas for manure utilization. The analysis shows that the three counties combined have about 323,000 acres of potential areas available for manure utilization. However, not all potential areas are suitable for additional utilization. Researchers conducted a comprehensive land-suitability analysis that considered proximity to streams, floodplains and bodies of water, shallow soils, geology, steep slopes, soil-leaching potential, and runoff potential. 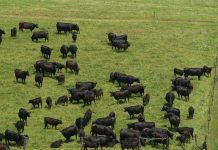 But expanding animal agriculture in western Pennsylvania will not be easy, warned research team member David Abler, professor of agricultural, environmental/regional economics and demographics. The study’s economic feasibility analysis suggests expanding animal agriculture in the region will be a challenging proposition, he said, and four main economic obstacles will need to be considered. 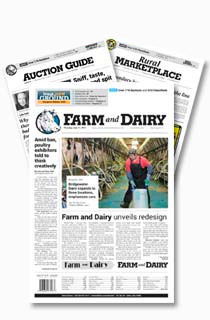 First, western Pennsylvania lacks livestock-processing capacity. There are very few processors in the three counties studied, and most are small scale. Second, the region lacks access to livestock production input suppliers, particularly those with an in-person service component, such as farm support and veterinary services. Third, the researchers point out that the existing transportation infrastructure in western Pennsylvania is not sufficient to support a large-scale livestock industry. The livestock industry relies on efficient transportation systems to supply inputs and move products to retail markets, making it important for livestock farms, input suppliers and livestock processors to be closely linked to the local transportation infrastructure. Fourth, the existing livestock industry in western Pennsylvania lacks “agglomeration economies” — the benefits in terms of proximity to suppliers, workers and customers that businesses obtain by locating close to each other — to build on. Water-quality limits for the Chesapeake Bay watershed set by EPA could lead to a downsizing of the livestock industry in the watershed, Abler explained. However, it does not automatically follow that any reductions in livestock production in the Chesapeake Bay watershed would be offset by increases in production in western Pennsylvania. 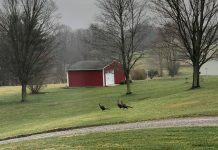 “For livestock products that are highly perishable and have high distribution costs, such as fluid milk and ice cream, proximity to East Coast markets may favor western Pennsylvania over other substitute locations,” Abler said. The study’s findings also suggest that addressing the challenges and opportunities of expanding animal agriculture in western Pennsylvania will require robust partnerships among local stakeholders, said research team member Walt Whitmer, senior extension educator. Findings from the community engagement components of the study — which involved an advisory team, a random-sample producers’ survey, leadership interviews and community strategy meetings — indicate several important steps that should be considered by state and local governments and private sector partners. 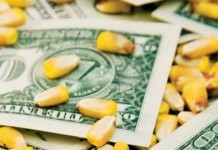 Recommendations include improving communications and coordination among public and private sector interests; expanding infrastructure capacity; increasing marketing, education and training opportunities; enhancing manure-management assistance and technical support; improving local government support for agriculture, and increasing state and federal support and incentives for animal agriculture in the region.